NEENAH, Wis. — The League of Women of Winnebago County and Fox Cities Advocates for Public Education are holding a public forum for Neenah residents to learn more about a referendum that will be on the April 2nd ballot. According to the school district this is the first facilities referendum since 1995 and the first referendum since 2006. 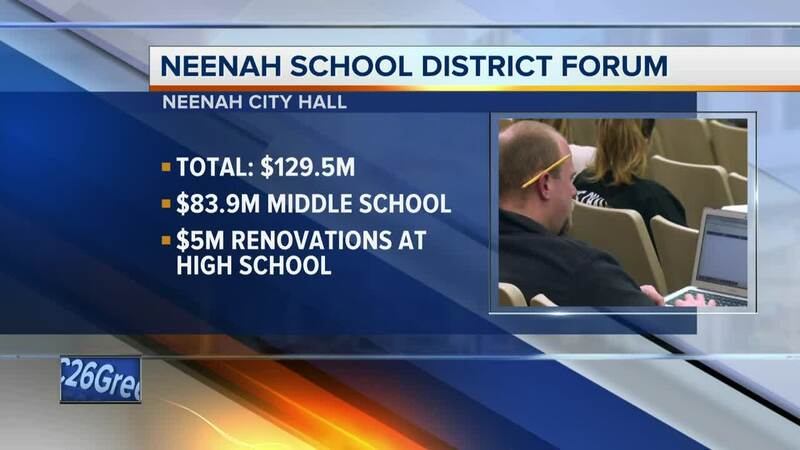 Neenah residents will be asked to support a $129.5M referendum for facility improvements that include a new $89.9M middle school for grades 7th and 8th to replace Shattuck Middle School, which was built in 1928. Also in the referendum is $5M that would go towards a renovated high school technology education wing with improved spaces for auto, welding, engineering, woods and fabrication labs. $31.2M would be invested in infrastructure while $5.4M would be used for upgrades to fit within the Americans with Disabilities Act and $4M in safety and security. The District currently does not have a referendum debt and has the lowest mill rate in the Fox Valley of $7.28 per $1000 home value. If the referendum would pass it would push the mill rate to $8.95 which is below the current state average of $9.45. The public forum starts at 6:30 p.m. Thursday at Neenah City Hall in the council chambers. If you have any specific questions regarding the referendum, you can submit a question to the district by clicking, HERE .